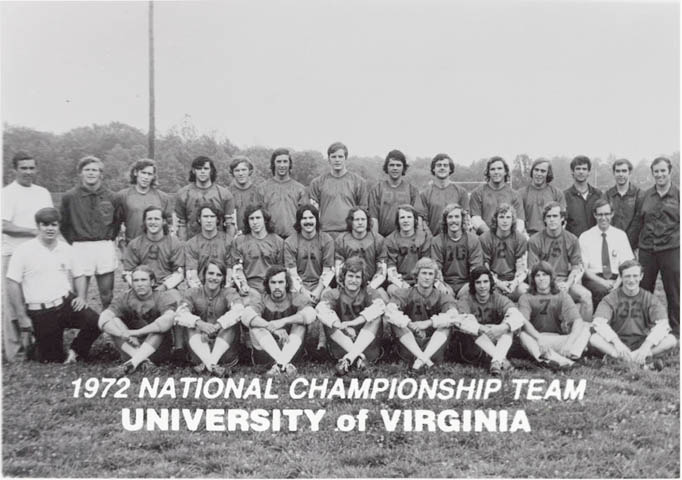 Virginia's NCAA championship team. 1972. Photograph by Ralph Thompson. Courtesy of the University of Virginia Athletic Department. 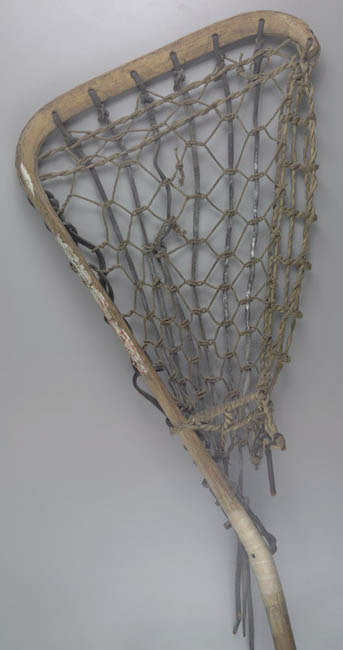 Goalie stick that helped win the 1972 NCAA Lacrosse Championship. Courtesy of Rodney Rullman, UVa goalie.